Happily Ever After Thoughts: Cowboy 12 Pack Released Today! Prizes to Celebrate! Cowboy 12 Pack Released Today! Prizes to Celebrate! Whoohoo! the Cowboy 12 Pack with 12 cowboy books including my most recent Cowboys Never Fold is now available for only 99 cents! The rafflecopter is below. Don't miss out on chances to win $100 gift card to Amazon or Barnes and Noble, signed books, choice of backlist, ebooks, promo packs of goodies, T-shirts, totes, a tiara, a 2015 calendar with each month the cover of a different book in the Cowboy 12 Pack and more! 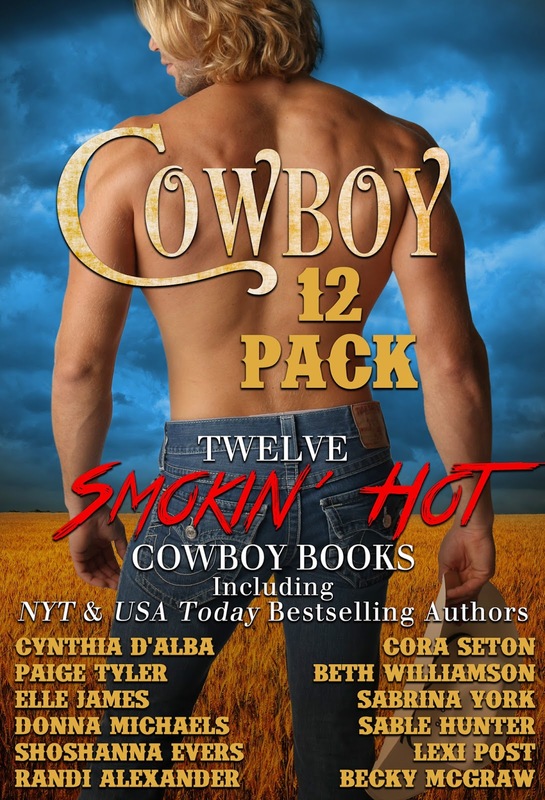 What stories does the Cowboy 12 Pack include?